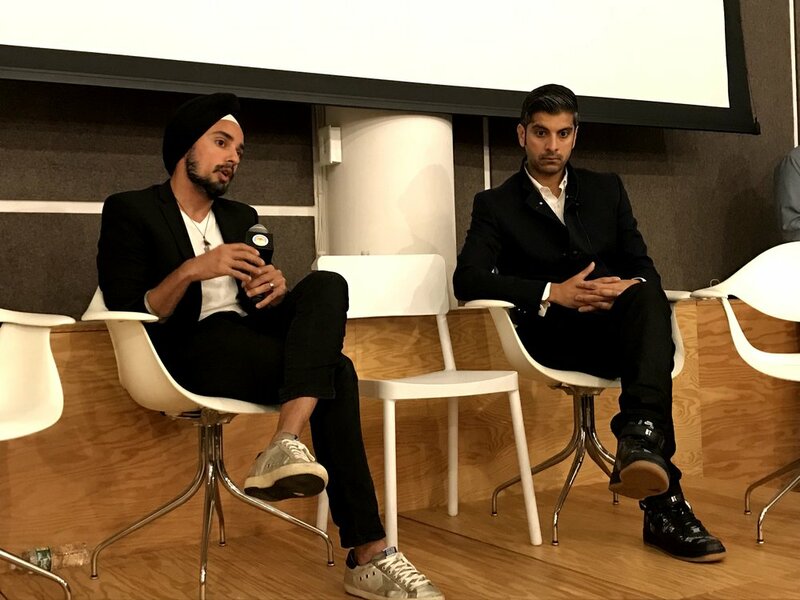 On October 12th and 13th Innovation Social came to New York holding our inaugural Innovation Social Global. Global's are our premium meet-ups where we invite fifty Innovation Leaders and Thinkers to spend a day and half discussing the key issues and sharing experiences and learnings. Think of it like an Innovation Salon - a historical concept for the gathering of like minded people to learn, challenge and evolve. The inaugural Innovation Social Global was only made possible thanks to the support of our wonderful Partners - TDA Creative, Google and EQT Ventures. Thank you so much Abby, Lars and Ted. We kicked off the programme at The Mill, who kindly hosted us, and with an Innovation Social tradition - That's Me That Is. Everyone had 2 minutes to introduce themselves with one image which represented long-term and strategic innovation. The images used were varied and fascinating and my personal favourite was Coney Island which was a hot bed of Innovation as it is, for example, where baby incubators were first invented. Who knew!? 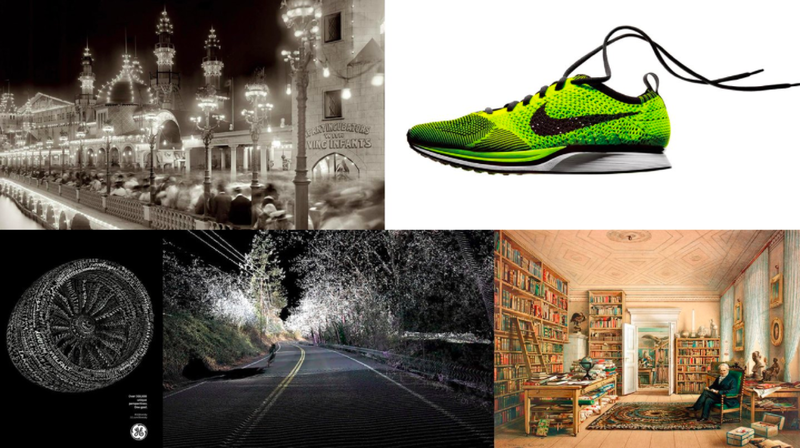 Conversations covered fly knit from Nike, the ever-present Air BnB and more technical examples such as Blockchain. We then welcomed Dr Kate Stone to the floor to talk about her ceaseless pursuit of Innovation in paper - making paper smart through the use of inbuilt circuit boards. Kate is at the forefront of Innovation everyday as she is an inventor and an explorer. Her advice to big business when it comes to Innovation? It only works when it is a way of life - it cannot hide in the basement it needs to be at the heart of everything the organisation does. After a round of demo's from Kate we then went onto The Mill's roof terrace to enjoy the Wok+Wine experience. Wok+Wine use proven psychological methodologies to drive connections, change perceptions and encourage people to learn how to think in new and unconventional ways. For example the table is too small ensuring everyone mixes, the food is eaten by hand to level everyone to share the same experience and there is only one type of wine so anyone can top anyone up. It was delicious, fun and the view from the terrace was incredible. A 12 foot table of shrimp really can create moments of serendipity. The next day sixty Innovation leaders and thinkers met at Betaworks in the West Village to really get to the heart of the programme. How to sustain Innovation for the long-term followed by a deep dive into AI. Our co-founder Nadya Powell kicked off the morning by talking about the four things that enable Innovation for the long-term: culture, process, partnerships and leadership. She used Amazon as a case study of how keeping a day 1 culture - where you focus on outcomes not process - is critical to building an Innovation Culture. And also explored the value of rest - something we all too rarely talk about - as only when we rest can we make tangental connections which lead to Innovation. Nadya's talk acted as the perfect warm-up for some of the key issues of the day. Nadya then handed over to James Cooper to talk about how Betaworks have built an Innovation culture. James spent some time talking about some of the unique attributes of Betaworks and one that stood out is its generosity. When Betaworks build a product that they feel will be successful on a wider scale they spin it out of the company and establish it as a business in it's own right - which is exactly what they did with Giphy and Poncho. Betaworks still retain equity in the business but they let the founding team lead the business thereby ensuring the best people seek Betaworks out. James ended with one of the more controversial quotes of the day - You can pivot a product but you can't pivot culture - which caused much debate. His overall point was it is harder to pivot culture than a product and there are all too few examples of culture being pivoted successfully. James then joined our 'Innovation for the long-term panel' for further discussion. The panel focussed on the four ingredients that enable long-term strategic innovation - culture, process, partnerships and leadership and to drive this debate we were privileged to have Soraya Darabi, Itai Asseo, Susan Lyne and James Cooper join us all hosted by Nadya. 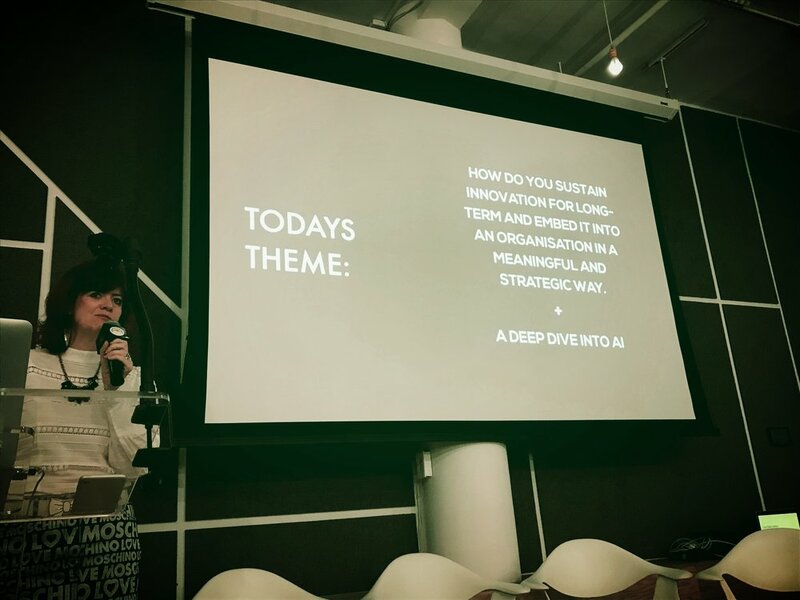 The discussions were too involved to do justice to here but highlights included James questioning whether an Innovation process is ever needed as at Betaworks they have no defined innovation process and instead organise themselves according to key values such as generosity and entrepreneurialism. Susan focussed on Amazon's use of the dual operating system: half the business follows a standard operating model and the other follows a defined innovation process. Lastly, Itai highlighted the role of leadership at Salesforce, as though Salesforce Ignite is the Innovation arm of Salesforce the leadership ensure it is integrated into everything the business does. A tradition of Innovation Social is Innovation Stories - case studies of innovation from the front line of leaders and thinkers doing it everyday. Hosted by the wonderful Kate Gardiner we were privileged to have four case studies of innovation shared with us - all of which provided clear insight into where next for Innovation. First up was Rem Reynolds from Inamoto&Co talking about their Incubation Programme Toyota Next inspired by the insight that in 2025, the way we move & travel will be significantly enhanced or changed. Toyota Next aims to identify innovative startups to design the next-generation applications for Transportation & Automotive. On the announcement day Toyota's stock went up 1.5%, equivalent to $3.8bn, so there are already strong signs of success. The first set of applications are closed - it is a large scale and long term programme - and we look forward to what is next. Sonny Cabberwal and Saneel Radia then talked about the innovation programme that forms the basis of the partnership between R/GA and Newell Brands. Newell Brands are a FMCG business with a long-standing heritage and are starting to investigate the implications the connected home will have on their product set. Sonny's advice to businesses looking to innovate is trust - you cannot change a heritage brand like Newell overnight as first you must build trust in the team and the experiments you wish to undertake. Saneel's advice was to ensure there is a small, senior (board level) steering committee for Innovation endeavours as he has never seen a programme succeed without this. We would have all loved triple the time we had with Sonny and Saneel - the perfect case study of Innovation. Laura Brounstein then talked about the work she is doing at Hearst, specifically Cosmopolitan, to innovate the business model. Traditionally advertising and editorial have been carefully separated, church and state, with neither having knowledge of what the other is doing. Laura has been undertaking a series of experiments where the two collide with brands building out stories and experiences for the readership, always with close allegiance to Cosmopoliton's purpose. This has met with huge success as it has enabled their readers to have bigger and more authentic conversations. How did she make it happen - proved there was a commercial benefit. In this case the bottom line did the talking. Last up was Tom McLeod who blew our minds with his new start-up Omni - an on-demand access and storage company. Omni began as Tom needed to move and put stuff in storage and could not comprehend how difficult storage currently is. Once an item is in storage it is almost impossible to take it out and then - for example - your golf clubs can never be used again. Tom felt this was a waste of resources and was contributing to the increase in 'stuff' in the world. So he designed a way for people to access their stuff on demand and even to make it available to other people to 'borrow'. Wow. As the discussions ended it was time to move onto the next segment - a deep-dive into AI. Three speakers took to the stage starting with Claire Graves from The Webbys. The Webbys has just completed research into consumer views on AI and suffice to say people are more accepting than you would think. 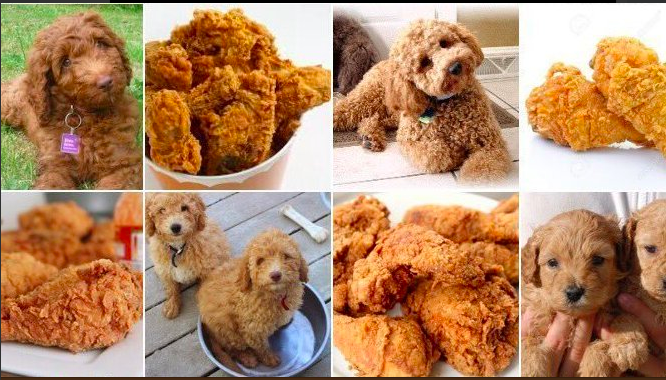 Claire then gave us a tour of all the many uses and flaws of AI with our particular favourite being AI driven image recognition...is it a labradoodle or fried chicken? Sarah Fay then took to the stage and spoke about her experience of AI as part of Glasswing Ventures, a VC that specialises in funding AI focussed companies. One of her biggest challenges is selecting which start-ups to fund as many claim to be AI but when you look under the hood they are instead using someone else's tech to power their AI capability. Sarah ended her talk by talking about JIBO, the first ever social robot for the home, a robot that both Sarah and Justin have on back-order. He definitely points at the power of the future of AI and is worth getting to know more. Last up was Justin Hendrix from NYC Media Lab who kicked off by explaining the concept of NYC Media Lab - it is a consortium of organisations (New York City Economic Development Corporation, School of Visual Arts, New York University, Columbia University, The New School, CUNY, IESE, and Pratt Institute) generate research and development, knowledge transfer, and talent across all of the city’s campuses. If anyone follows Justin on Twitter you will know he has a pretty dystopian view of the future and to drill how AI can remove certainty from the world he shared this video demonstrating Adobe's Photoshop for Voice which enables anyone to change anything someone says - watch from 3 minutes in. The biggest irony of this clip is that no-one seems to acknowlede the implications of the technology re: fake news. Scary stuff. Before we broke for our round tables sessions we had a very special fireside chat between Katie Longmyer, a connector between brands and creative talent, Kerin Rose Gold, luxury eyewear designer and fashion pundit, and Nick Catchdubs, music producer and DJ. The fireside chat was inspired by the concept - how do you achieve that difficult second album which was the perfect metaphor for sustaining innovation. 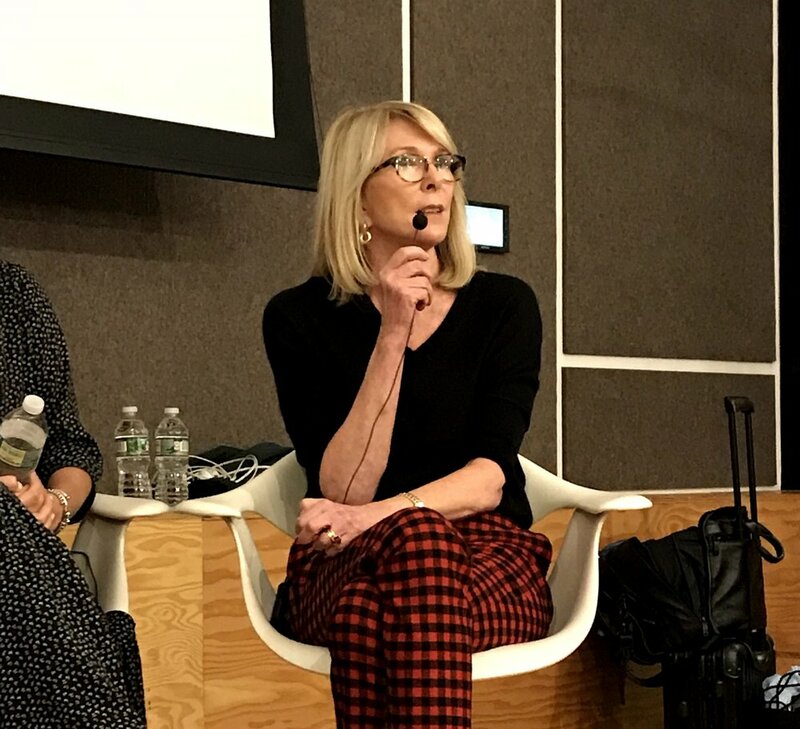 These three people are at the intersection of brands and creativity everyday and shared their experience of how to stay innovative despite the commercial pressures of reality. Their plea was when brands work in partnerships with creatives, to drive more innovation through the business, to not expect the creative to then change their style, work or beliefs for that brand. That is not partnership, instead it is simply a hand for hire - which nicely picked up some of our conversations from the first panel around the power of partnerships. The fireside chat drew the event to a close and we moved to round table discussions - a chance for everyone to discuss and share their thoughts on some of the key themes of the day. A huge thank you to Justin Hendrix for hosting the AI table, to James Cooper for hosting the Innovation culture table and to Anthony Mayfield for hosting the Innovation process table. The conversation could have continued long into the night - but at 5pm we decided to move the conversation to a different location and went to a rooftop bar overlooking the High Line. So over wine, beer and gin we could talk Innovation until the stars twinkled. "A coming together of leaders, influencers and decision makers, sharing real experiences, challenges and information in a respectful, egalitarian and fun way. "Innovation Social is a perfect balance of inspiration speakers and opportunity to meet new people"
Once again a huge thank you to our partners - EQT Ventures, Google and TDA Creative - to our amazing advisory board and to our speakers. And in some ways most importantly, to our guests whose desire to get involved in the subject of Innovation made it the real success. We plan to come back to New York in May 2018 and if you would like to speak or attend don't hesitate to contact Nadya.